Dr. Johnson Liu received his medical degree from the University of Michigan Medical School. After residency training in internal medicine, he joined the National Heart, Lung and Blood Institute in 1988, first as a clinical associate, hematology fellow, and then as tenure-track investigator in the hematology branch. While at the National Institutes of Health (NIH), he was awarded a Commendation Medal from the United States Public Health Service. 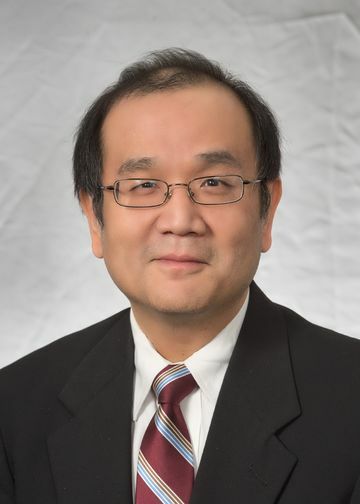 To date, Dr. Liu has authored or co-authored 103 papers, reviews, monographs and book chapters in the scientific and medical literature, and was named to the Les Nelkin Memorial Endowed Chair in Pediatric Oncology in 2005. He is currently a professor of pediatrics at the Zucker School of Medicine. Dr. Liu’s research career has focused on the molecular basis of hematopoietic stem cell disorders that are collectively referred to as the inherited bone marrow failure syndromes, and he has been actively engaged in translational research studies since his time at the NIH. There, he was responsible for the development of the first clinical protocol aimed at gene therapy for Fanconi anemia, guiding this project from the initial bench experiments in 1994 through the manufacturing and regulatory process to completion in 2000. Dr. Liu’s current bench research at the Les Nelkin Memorial Pediatric Oncology Laboratory is aimed at understanding the molecular pathophysiology of Diamond Blackfan anemia and Shwachman-Diamond syndrome, two of the most commonly seen inherited bone marrow failure syndromes. His laboratory is also actively engaged in research on erythropoiesis (the process of blood production in the bone marrow) and sickle cell anemia. His clinical interests are in the management of benign and malignant hematologic disorders, with a particular focus on bone marrow failure and myelodysplastic syndromes.